The day is almost here (December 20) for the highly anticipated P.T. Barnum biopic The Greatest Showman to be released in movie theaters. The film's stars can hardly wait, either, and are getting into the musical spirit. Tony winner Hugh Jackman, Zendaya and Zac Efron teamed up with Tony winner James Corden on December 14 for an epic new take on The Late Late Show's Crosswalk the Musical. 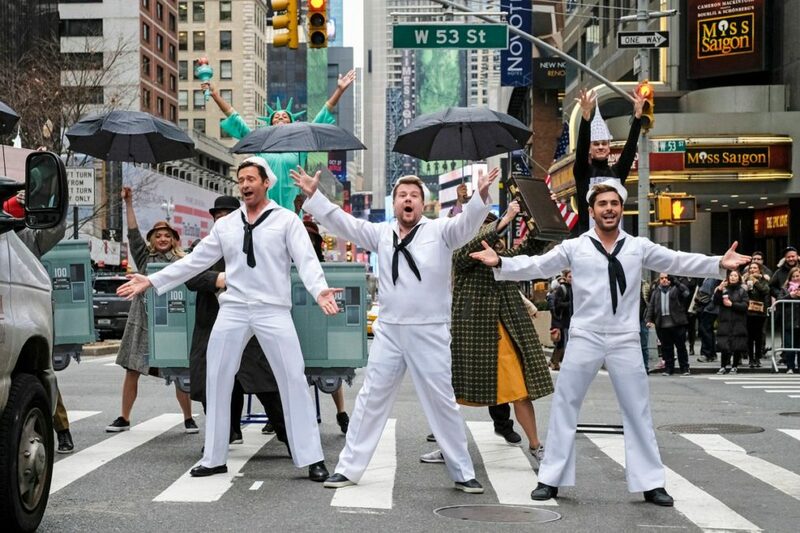 Watch the stars take to the street to perform a heavenly mashup featuring On the Town, Guys and Dolls and Fame. We'll be watching this video on loop until The Greatest Showman hits cinemas at long last.